SANTA MONICA — The 2018 Santa Monica Reads community reading program continues with three events exploring different aspects of the Japanese American experience. Now in its 16th year, Santa Monica Reads is Santa Monica Public Library’s community reading initiative that encourages all residents and visitors to read and discuss the same title in book discussions and special events held throughout the city. This year’s selection is “Farewell to Manzanar.” the classic memoir by Jeanne Wakatsuki Houston and James D. Houston, which chronicles young Jeanne’s experience with her family before, during and immediately after camp. • Saturday, June 9, at 2 p.m. at the MLK Jr. Auditorium, Main Library, 601 Santa Monica Blvd. Filmmaker Brian Tadashi Maeda, who was born at Manzanar, screens and discusses “We Said No! No! A Story of Civil Disobedience,” his recent film on the “No-No Boys,” Japanese American men who refused to say “yes” to the U.S. government’s infamous “loyalty questionnaire” and were subsequently sent to the most brutal of all the wartime camps, Tule Lake. Maeda is a member of the Venice Japanese American Memorial Monument Committee, which has built a permanent memorial to Americans of Japanese ancestry forcibly removed from Venice, Santa Monica and Malibu and held at Manzanar for the duration of World War II. Both he and his father Arnold are among the former incarcerees who are quoted in the text on the obelisk. • Sunday, June 10, at 2 p.m. at the Multipurpose Room, Main Library. “The Japanese Flower Market,” a presentation and workshop. The L.A. Flower District is the largest wholesale flower market in the country. 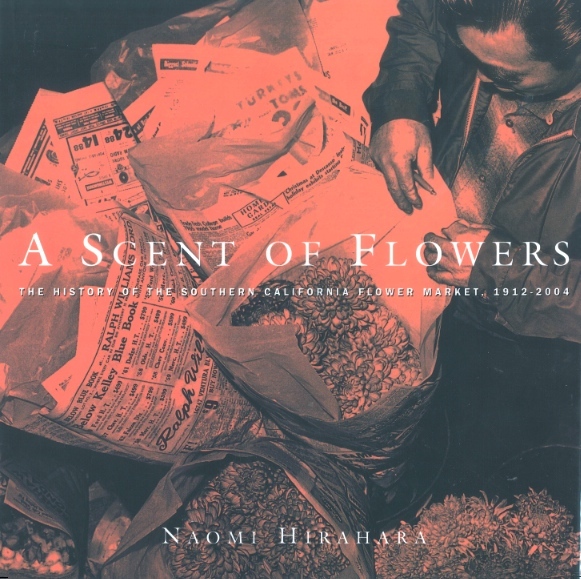 Naomi Hirahara, author of “A Scent of Flowers: The History of the Southern California Flower Market, 1912-2004,” discusses the contributions of Japanese Americans and other ethnic Americans to the local floriculture industry. A book sale and signing follows the program. After the presentation, attendees learn the basics of floral design in a hands-on, mini flower-arranging workshop. Supplies are limited and available on a first-arrival basis. Hirahara is co-author with Heather Lindquist of “Life After Manzanar,” which chronicles the postwar resettlement of Japanese Americans released from the camps. They gave a presentation on May 22 at the Main Library and will speak on June 23 at the Japanese American National Museum. • Tuesday, June 12, at 6:30 p.m. at Ocean Park Branch, 2601 Main St. Screening of “Farewell to Manzanar” (1976, 107 minutes). Nominated for two Emmy Awards, the television adaptation of the book stars the best-known Japanese American actors of the time, including Nobu McCarthy, Yuki Shimoda, Clyde Kusatsu, Mako and Pat Morita. Many Americans first learned of the camps through this televised drama, which was directed by Jon Korty. The film was later made available to schools and libraries throughout California. These programs are free and open to all ages. Seating is limited and on a first-arrival basis. The Santa Monica Public Library is wheelchair-accessible. The Main Library is directly served by Big Blue Bus lines 1, R10 and 18. The Expo Line and Big Blue Bus lines 2, 3, R3 and 9 stop nearby. Bicycle parking racks are available. For more information, call (310) 458-8600 or visit http://smpl.org.